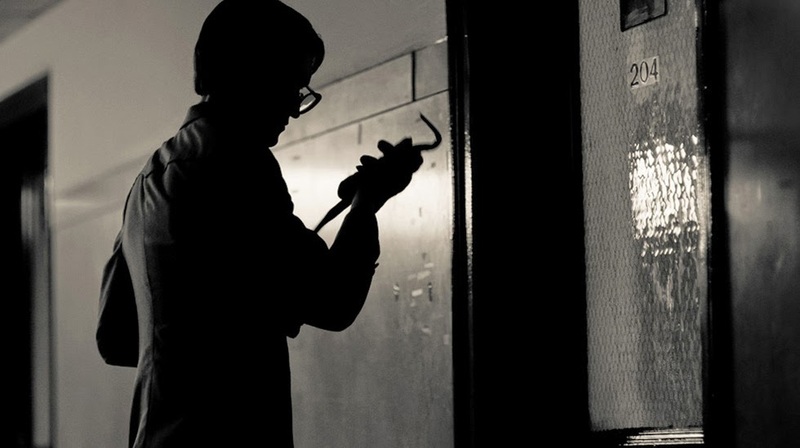 Opening Friday is the documentary 1971 about the break-in to the FBI offices in Media Pennsylvania. The break in revealed all the dirty tricks the FBI was committing against regular Joes and started a fire storm of protest. 1971 is a straightforward, sober, and unglamorous account of little known political activism taking place amid 1960’s and ‘70s political turmoil in America. A group calling itself the Citizen’s Commission to Investigate the FBI did not receive the same level of attention or historic recognition as others that were more ostentatious. This may very well have had a lot to do with the success of the success of the band of activists who, in the words of one of its members, were a “bunch of ordinary people who got together and did extraordinary things.” This firsthand account of their most pertinent activity provides fascinating insight into the mindset of these relatively quiet revolutionaries , whose actions was arguably the same if not greater than those with greater notoriety. At first, members of the group introduce themselves and the impetus for them to join various causes of the time. The group’s ranks consisted of a diverse cross section of citizens, including a cab driver, social worker, and university professors. Some were parents, and ages ranged from young to old. Through individual interviews, they discussed each of their own developing ideologies during that time. The notion of shifting from “nonviolent protest to nonviolent disruption” signified a sense of the need to go beyond expressing a point of view. This led some who would join together to form the Citizen’s Commission to carry out the destruction of government files tied to the Vietnam War draft. When they formed the Citizen’s Commission, their activities became focused on a single goal: break into an FBI office in the small town of Media, Pennsylvania and steal files that would allow them to expose policies violating citizens’ rights. An account of their plan is given, from its conception to it being carried out, along with challenges and threats of capture that arose along the way. It is as suspenseful a tale as a bona-fide work of espionage-based fiction. The combined accounts are extremely telling, showing how factors such as each member’s talents and outside circumstances affected who would do what and the timing of their plan. In addition to the group’s activity, we see other key factors in the conflict of the time. The FBI is contemplated, by members of the Citizen’s Commission and others of the time, as an organization regarded as cool and inspiring in the climate of the ‘60s, but growing out of control in regards to its response to anti-war protests. Cases are made that their activities exceeded the grasp of the government, giving them a dangerous amount of unchecked power. We also see how powerful an influence the media can have, or not, as journalist Bettie Medsger accounts for what happened when the stolen FBI files were transmitted to journalists. A few were extremely curious while many apparently wanted nothing to do with them. The story is told employing several means: dramatizations, images of the documents in question with significant portions often highlighted, and the narration of the Commission members. The addition of newspaper clippings, news broadcasts, footage of television shows that were popular at the time and university rallies add an immersive sense of context to what was transpiring at the time. Photos of the Commission members from the time give an interesting juxtaposition of then and now, showing what it is in fact like as revolutionary figures grow and change. When so many revolutionary figures are looked at as iconic figures, and what we know stands to be a combination of myth and fact, it is refreshing to see an account from the individuals themselves, who regard themselves as no more than ordinary citizens. With the wisdom hat comes with hindsight, the issues that make acts of opposition so difficult, like balancing the societal responsibility one feels to the responsibility people must take for their families’ well being. It’s a quietly powerful film about a quietly powerful group of people, who may very well influence the next group of socially responsible revolutionaries.